This is a great tutorial, but it doesn’t seem to be working when I try to recreate your steps. I’m using Acrobat 8 Professional and MS Word 2010. 1. 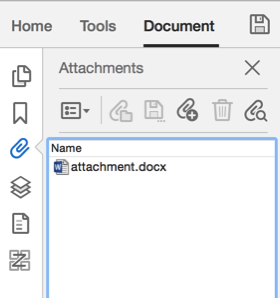 I save your Word attachment (attachment.docx) from your PDF onto my desktop. 2. I delete your Word attachment (attachment.docx) from your PDF. 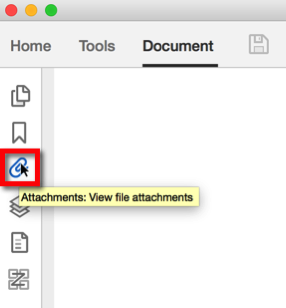 There are now no attachments in your PDF. 3. I attach the saved Word doc from my desktop (attachment.docx) to your PDF. Eric, I am sorry but I don’t have any suggestions. It should work. If you want to email the file to me, I can take a look. Please make sure that you explain in your email why you are sending the file – otherwise it will be impossible to match the file to this discussion. This is not working on ipad, do you have any solution so that this works on ipad. New window is not opening in Ipad. Even, Unfortunately, no PDF viewer on any mobile device comes close to what you can do with the Adobe Acrobat or the free Adobe Reader. No, I don’t have a solution for you. Thanks for the tutorial. The steps worked for me. 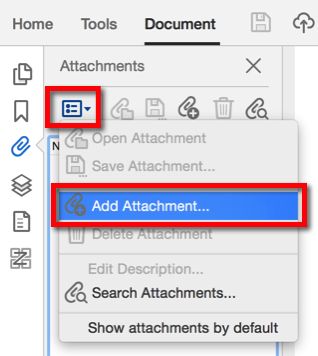 Can you provide a tip on how to make the attachment appear in a smaller pop-up window rather than as a a full-sized, separate document? I am making a PDF attachment open from within another PDF document, and I want it to appear in a smaller window, overlaid on top of the original document (i.e., a smaller, pop-up window reader). Any advice? 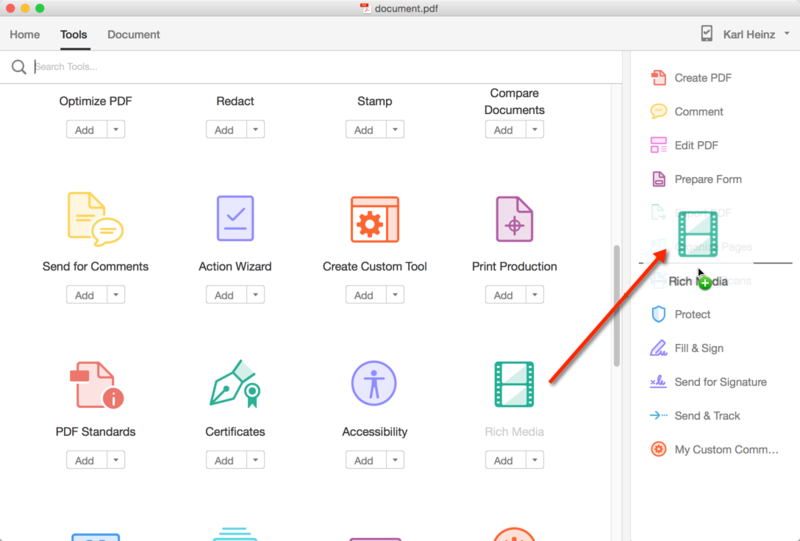 This will require Adobe Acrobat (any version) or the free Adobe Reader XI or newer to work. I am looking for a script I can use to make sure the file is only opened with an Adobe product. I have a file with a lot of script that only the free reader or writer from Adobe can run. Some of the users have other PDF readers that they like but that reader/writer can NOT run the adobe scripts I have created. Any help you have would be appreciated. Spent last 2 hours trawling the net for something like this so I can dynamically add a PDF to a newly created PDF, and link it to a button. Took 10 minutes to find that the java is case sensitive, and doesn’t like spaces immediately before the attachment extension. Got there in the end with this though. Hi, thanks for a great tutorial. I was wondering if you knew of a script modification to specify opening an Excel file attachment to the PDF at a specific worksheet, rather than just defaulting to the first worksheet? kajoh, no, there is nothing to open a specific worksheet. Thank you for this! This is exactly what I’ve been looking for – I knew there had to be a way to open an embedded file from within PDF that wasn’t another PDF. I really appreciate you taking the time to write this out and share. 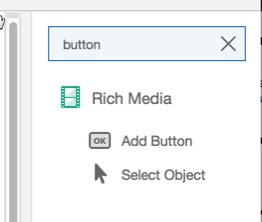 I just created a button and it works flawlessly to open an embedded file contained in the Attachments pane. Thank you! It works, Thank you so much for posting! The link is now set and when you click on it, it will open the target document on e.g. page 10. 1. Opened the main PDF file. 2. Used the paperclip tool to add and Excel (.xlsx) file as an attachment. 3. 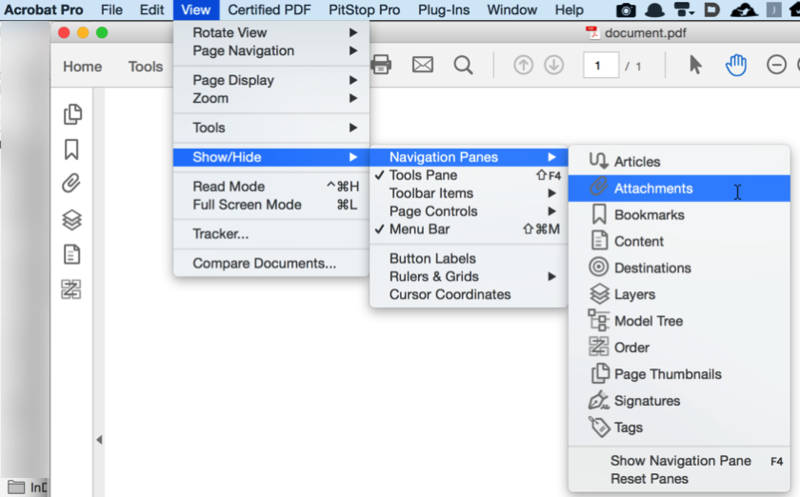 Used the Button tool link tool to draw button somewhere in the PDF. 6. 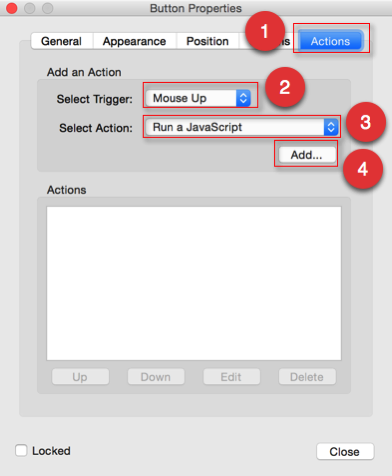 Selected the hand cursor and clicked the button. 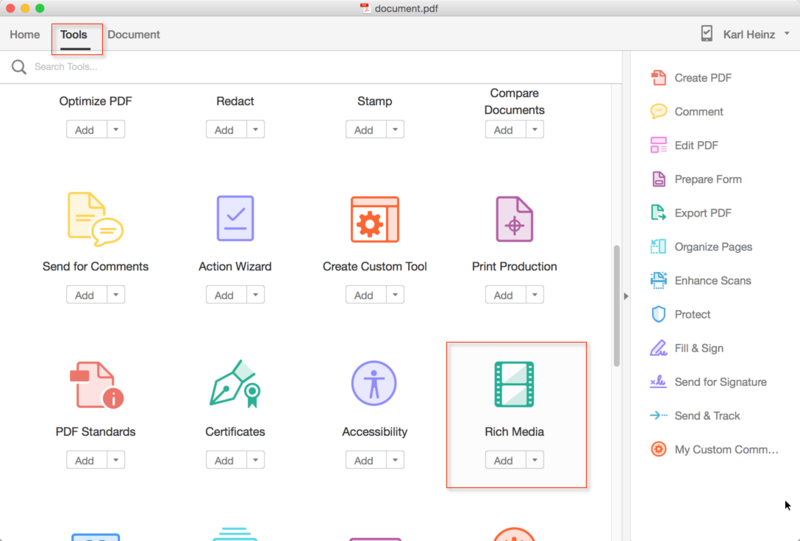 Unfortunately, I don’t have access to Acrobat 7 anymore. It may just be too old to run this script.